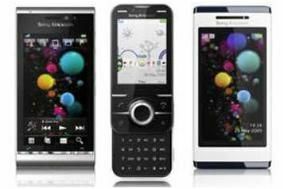 Sony Ericsson rolls out software fix for Satio smartphone | What Hi-Fi? At the same time it's also pushing through software updates for its Aino and Yari handsets. Back in November, both Carphone Warehouse and Phones 4U withdrew the Satio from their stores after customers reported problems with the device and an unusually high number were returned. Owners said the Satio would turn off when running certain applications, and there were reports of touchscreen problems on the Aino. Although Sony Ericsson won't say exactly what went wrong with the handsets, the software fixes are now available for download for those who held on to their phones. The update will not only fix the issues to make the handsets more stable, but also make them perform better, with Aino owners getting better wi-fi and GPS capabilities, and longer battery life.